For three weeks we rained bombs and fired artillery shells on an helpless civilian population. We punished them for their rocket fire, which was their punishment for our siege, which was our punishment for their election results, which was their punishment for Fatah's corruption, and so the story goes one. What should we have done? We should have negotiated – a cease fire, a prisoner exchange, a withdrawal from Gaza. We should have talked with them. Instead, we treated them like flies, whose lord we were. And so we bombed, killed, and maimed, using them as human shields, raining down phosphorus as weapons, finishing only when we were forced to stop. At the end of the nightmare, in additional to the tens of thousands of lives ruined, there were over 1400 Palestinians dead, mostly civilians, and 13 Israelis dead, mostly soldiers. The death and destruction should have been unbearable for all decent human beings. But with deep sadness I can only say that relatively few in my country of Israel were disturbed. "They started it." "They deserved it" "What would you have done?" As if what Israel did was the last resort. Every Ninth of Av as long as I live will remember the latest in the Jewish catastrophes that have befallen the Jewish people – when our hearts were Cast into Lead. For thirty-five years I have lived in Jerusalem, the so-called "United Jerusalem." I have seen it grow into a sprawling and overbuilt megalopolis where the building never stops. Part of the development is based on developer's greed; part is based on Israel's never-ending struggle to de-Arabicize Jerusalem (which now includes banning the Arabic word for Jerusalem from street signs). So rightwing Jewish groups join hands with Jewish bingo moguls and government officials to buy up, legally and fictitiously, parts of East Jerusalem, or when that fails, to get tracts of land zoned for "archaeological parks" run by rightwing settler groups, despite the intervention of the High Court. Jews should be allowed to live anywhere in East Jerusalem, we are told, and Arabs should be allowed to live nowhere in West Jerusalem. Not a day goes by without more revelations, for which one can read the Ir Amim website here. The idea is clear – to surround the Old City with as many Jews as possible – and to convince the Israelis that East Jerusalem, including Arab East Jerusalem, is part of the Jewish state. Let us not forget that according to the UN and the world, the State of Israel is not sovereign over West Jerusalem, and let us hope that, speedily in our days, Jerusalem will be internationalized. Till then you will see the continual sprawl and growth that has choked the city, destroyed its center, and, together with the inflated prices of real estate due to absentee owners, sent many of its educated young people into exile. 3. On the Hurban of the Jews. "The Jews, as a majority in their state, will be judged by how they treat their own minorities." Well, judging from the present situation, I give my state a D-. Consider the plight of foreign workers. They are imported to Israel, work often under horrible conditions, and then expelled. If they marry Israelis they may or may not become citizens; it is up to the decision of the Minister of Interior. But even if they don't, then they and their children born on Israeli soil, are liable to be deported. Now the press, politicians, and an impressive list of intellectuals and religious leaders (with only one orthodox rabbi, of course, Rabbi David Rosen) are trying to avert the decree of deporting the children, who have known no other homeland besides Israel. What other country deports children in this way? And why Israel? Because, you see, it has no real process of naturalization for non-Jews. I would like to know what other state besides Israel does not have a process for naturalizing eventually children of foreign workers born on their soil. Even Germany now has one,and think of all the foreign workers there. The Interior Ministry's newly created Immigration Authority is a vital mechanism. To this day Israel has not drawn up an immigration policy, because anyone who isn't a new immigrant under the Law of Return is seen as a temporary visitor whom the state has no interest in naturalizing. The entrance of hundreds of thousands of foreign workers, only some of whom have left, has brought the state to its senses. It is regrettable that the authority's first step was to round up a few hundred asylum seekers from Africa in south Tel Aviv, in what appeared to be a senseless demonstration of ostentatious bullying. Most of the detainees had been brought into Israel by the army at the Egyptian border. They met the representatives of the United Nations refugee agency and have been granted temporary protection due to the danger and persecution they were subjected to in their countries of origin, such as Eritrea and Sudan. These detainees are protected from deportation, so one must assume the Immigration Authority intended to intimidate and deter other asylum seekers from coming to Israel, in addition to enforcing the problematic procedure forbidding them from living and staying in the area between Gedera and Hadera. Instead of engaging in intelligence activity to find people staying in Israel illegally, the authority's inspectors chose the easy route and filled the prisons with fugitives from disaster and massacre areas. I will discuss the Palestinian Israeli minority in another post. On my way to shul I heard A. B. Yehoshua say, once more, that one can only be a Jew in the full sense of the term in the State of Israel. I once believed that. But this Tisha B'Av, when we read about destruction and exile, I ask the question that was the title of Akiva Ernst Simon's last book: "Are We Still Jews"? And to Buli Yehoshua I ask, how can one still be Jewish and live in Israel 2009 – unless one lives in constant despair and depression? Looks like scenes from Gush Katif of exactly four years ago when Sharon and the IDF were finished with them. Seems like the IDF is an "equal opportunity" destroyer. Promise the generals a big payoff as reward and they will go after anyone you want. Of course, you probably enjoyed those pictures just as you deplore the one you posted here. The irony is that it was that atrocity (as you no doubt see it) that lead directly to this one and the one in Lebanon in 2006. I'm sorry, but I made a mistake. Obviously, I wouldn't imagine that you consider the eradication of Gush Katif as an "atrocity", as I had indicated. I probably meant to say that you do NOT see it as an atrocity, as I do. What you are seeing on the part of not only Jerry and the "progressives", but also many of the non-Zionist Haredim is that a Jewish state has no right to exist unless it is "perfect", however you define it. In discussions with "progressives", they will tell you Israel is a terrible racist state because it has laws that favor Jews (e.g. Law of Return) and in practice, Arab parties are kept out of the governing coalition. When you point out to them that in practice, the Arabs in Israel are far better off economically and socially and have more freedom than in any Arab country, they will reply that none of this matters and that, in contrast Syria, or Saddam Hussein's Iraq (as it was formerly), even though it is a totalitarian dictatorship where everyone lives in fear of the regime and that most people there are impoverishted, is still better than Israel because its consitution claims everyone is equal and that the country is socialist and secular and this makes them a more virtuous society than Israel. What really exists is not important...it is the theory that matters. This is an anti-humanist position and it explains why "progressives", particularly "progressive Jews" supported Stalin. He really talked a good "progressive" line and he was willing to use whatever force was necessary to enforce "equalit", "socialism", "antiracism", etc. Your explanation of how other people think, and what they say, is one you share with a few others of those who comment on sites regarding Israel and Palestine. Your recitation isn't convincing, particularly to anyone who spends time reading this site, so one's conclusion is that it must be personally satisfying. Israel will lose what goodness it has if its policies and actions continue to be driven by those who seek only personal satisfaction in their state craft. This is the third time I have written a response here; the first two times crashed, and so I switch browsers. 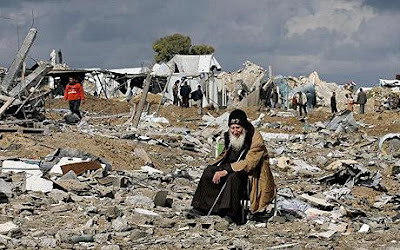 There is the most superficial of comparisons between the plight of Gazans, whose homes were bombed, whose families were killed, and who have been under siege for several years now, and the plight of the Gush Katif settlers, who knowingly chose to live in the Occupied Territories, who refused compensation to move within Israel proper until the last moment, who then insisted on being resettled as communities together, and some of whom live now in comfortable caravans, waiting for settlements to be built (such as in the Hevel Lakhish area). I don't want to suggest that the Gush Katif folks didn't and don't suffer. But surely you are able to see the difference. And Avram, your question is a good one. The truth is that one can live a full Jewish life anywhere there is a Jewish community. But it is a matter of degrees. Remember that Rambam left Eretz Yisrael for Egypt, probably because his family could not have had a truly full Jewish life in the impoverished Jewish communites of Eretz Yisrael (and his brother was in the lucrative trading business). But what makes Israel particularly difficult for me now, is that as a citizen, and as a Jew, horrible things are done in my name. I know, I know, that will happen everywhere; states aren't perfect (and I am getting to Y.Ben David's point in a minute.) But here it doesn't stop. As for Y. Ben David. I don't expect Israel to be a perfect state. I expect it to fulfill the minimal requirements of a decent society. That Israel is a better state in some (but not all) respects than Saudi Arabia is noteworthy, but not satisfactory enough for me. Could Israel be worse than it is? Of course it could. It could, for example, outlaw Arab political parties, or deprive Arabs of citizenship rights, etc, or due process of law, or set up separate beaches for Arabs and Jews, etc. Am I supposed to be gratified that Israel is not segregated the way the US south was? There are some aspects of Israel that are vastly superior to the US -- universal health coverage, for example. So Arab citizens fare better than many US citizens in that regard. But that doesn't make me so much proud of Israel as it makes me ashamed of the US. Of course, the holding of several million Palestinians without citizenship rights in the West Bank and Gaza is unparalleled in the world. And offering them Jordanian citizenship to the West Bankers (many of whom have it) and Egyptian citizenship to the Gazans only makes sense if Jordan and Egypt govern those territories. Y. Ben David, the real point of contention between us is whether an ethnic national state like Israel (and there is NO ethnic national state like Israel) can fulfill the minimum conditions of a decent state. The good news (for me) is that it would not take a whole lot to transform Israel into something like this. My vision of Israel would not look too different from what it is today, although there would be changes. That is because there is much to work on in Israeli society that is decent. Jerry, the real point of contention between you and Y. Ben-David is that he believes the land of Israel up to the Jordan river, was given by God solely to the Jews and that they are entitled to defend that land by all means without any moral boundaries and you believe the land has to be shared between the Jews and another people who also lived on it. As a secular Jew, it is surprising to find a religious and nevertheless progressive Jew like you. I never thought it would be possible. In fact, your are more open and tolerant than all my progressive friends and myself and it is for me a real blessing to read you. Mike, I am not sure whether you get Y. Ben David right -- I will let him speak to that. I think his thinking is a bit more complex. Jerry is correct. I do not have the views you have attributed to me. In this part of the world, people are not viewed as only individuals, they are also viewed as part of a group. This group may be viewed as religious (Sunni, Shia, Jew, Alawite, Assyrian, Druze), or cultural (Circassians and Kurds, for example, are Muslims but they are distinct from other Muslims). Groups have a right to preserve and strengthen their own group identity within a particular territory. Thus, I view Jews as having national rights from the Mediterranean up to the Jordan, in ways that Arabs (Palestinians) don't have. Arabs are entitled to full rights as citizens, either of Israel or whatever entities will evolve in Judea/Samaria and Gaza, but not national rights.This is spelled out in the Torah as the rights of a "ger toshav" (non-Jewish resident of the country), so there is nothing new in what I am saying. Jews have the right to live anywhere within that region as 'national Jews'. Arabs already live in them as well. In principle I have no problem with all the Arabs/Palestinians (both Israelis Arabs and those living in the Palestinian Authority territories) having the same citizenship and the right to move freely within the entire area and live where they want (e.g. a Palestinian living in Ramallah would be freen to move to Um El-Fahem or vice-versa) but this will have to await peaceful times. Needless to say, I am not saying that Jews living in an Arab country are entitled to Jewish national rights there, but we are entitled to them here in Eretz Israel. There are 23 or so Arab states in the Middle East and only one Jewish one, so I don't have any problem with us trying to preserve our national heritage here, just as the Muslim Arabs do in their countries where they apply Sharia law which discrimintes against non-Muslims. This is not Europe nor North America and one should not expect the same sort of governmental systems. Y. Ben David - don't whitewash your racism. Tell us exactly what are the rights of "Ger Toshav" - he cannot vote, or own land, and he is actually class-C citizen. Much like the blacks in southern US in the segregation era, or in South Africa in the apartheid era. This is not the same "citizenship" as the Jews will have in your racist-utopia. This equates Israel, which claims to be a democracy, with the likes of Saudi-Arabia.